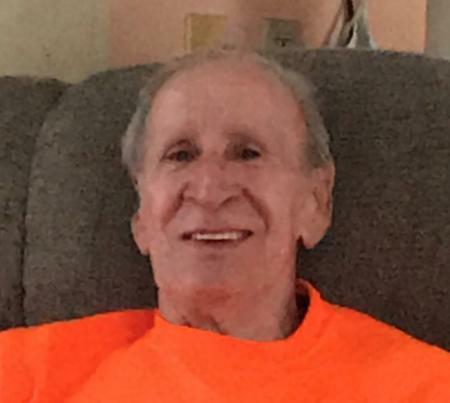 Robert “Mugsy” Anthony, 79, DuBois, passed away suddenly on Monday, November 26, 2018, at Penn Highlands Healthcare in DuBois. He was born August 20, 1939, in DuBois, PA., the son of the late Harry and Anna (Pukzio) Anthony. He was married to Nancy (Lavery) Anthony, she survives in DuBois. In addition to his wife Nancy, He is also survived by a son Robert Anthony, jr of Erie, a sister Joann (Jack) Manners of DuBois, a granddaughter Chelsea Beatty of Sykesville and numerous nieces & nephews. After attending DuBois Area Schools ; Robert joined the US Navy. He had previously worked as a laborer for B&O Railroad, an Asphalt finisher for HRI and Collins & Nolder. Robert enjoyed playing little league baseball for Rockwell in 1952; he also enjoyed softball, fishing and playing cards & bingo. He was a member of the Sandy Club, IP&S, Swedish American Club, VFW & Falls Creek Eagles. Visitation will be held on Saturday, December 1, 2018 from 4pm until 6pm at the Leo Nedza Funeral Home in DuBois. Services will follow at 6pm at the funeral home. Burial will take place in Morningside Cemetery.